מוצאו של הצמח בדרום ומזרח אפריקה. בישראל, משרד הבריאות מגביל את השימוש הפנימי בקליפת עלה האלוורה, ומתיר אותה לשיווק בבתי מרקחת בלבד. הג'ל מותר לשיווק. ג'ל – פוליסכרידים, חומרים ריריים (מוצילאגים). קליפת העלה – אנטראקינונים (aloin, aloeemodin, barbaloin). 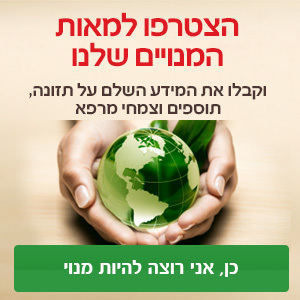 שימוש פנימי – מחלות דלקתיות וכיביות של המעיים, כיב פפטי (אולקוס), פצעים בדרכי העיכול. שימוש חיצוני – כוויות, פיסורה אנאלית, פסוריאזיס (ספחת), פריחות ופצעים, חתכים, שריטות. בשימוש פנימי: משקה המופק מהג'ל – 15-30 מ"ל ביום. בשימוש חיצוני: כ-5% תמצית בריכוז 200:1 (A. barbadensis) בתוך ג'ל או קרם בסיס. תמצית נוזלית בריכוז 1:10, 25% אלכוהול + 25% גליצרין – 1.5-4 מ"ל ביום (לפי הצורך). תמצית יבשה תקנית בריכוז 5:1 – 50-200 מ"ג ביום, לפי הצורך (בד"כ לפני השינה). ג'ל אלוורה: בלקיחה פנימית אין דיווחים משמעותיים על תופעות לוואי; נחשב בטיחותי לשימוש. ג'ל אלוורה: לא ידוע על התוויות נגד. לא נצפתה רעילות כלשהי בשימוש באלוורה במינונים הרפואיים המקובלים(1). קליפת העלה: השימוש בקליפת אלוורה אינו מומלץ לשימוש פנימי בהריון ובנשים הרוצות להרות(1,2). Stargrove M B, Treasure J,McKee D. L, Herb, Nutrient, and Drug Interactions, Elsevier, 2008. https://www.us.elsevierhealth.com/herb-nutrient-and-drug-interactions-9780323029643.html. Brinker F. Herb Contraindications and Drug Interactions, 4th ed. Sandy (OR): Eclectic Medical Publications; 2010. https://www.eclecticherb.com/herb-contraindications-drug-interactions/. Reynolds, T. and Dweck, A. C. Aloe vera leaf gel: a review update. J Ethnopharmacol. 12-15-1999;68(1-3):3-37. https://www.ncbi.nlm.nih.gov/pubmed/10624859. Wohlrab, J., Kreft, B., and Tamke, B. Skin tolerability of transdermal patches. Expert.Opin.DrugDeliv. 2011;8(7):939-948. https://www.ncbi.nlm.nih.gov/pubmed/21506903. Mills. S, Bone K, The Essential Guide to Herbal Safety. Churchill Livingstone, 2005. https://www.elsevier.com/books/the-essential-guide-to-herbal-safety/mills/978-0-443-07171-3. Yang HN, Kim DJ, Kim YM, et al. Aloe-induced toxic hepatitis. J Korean Med Sci. 2010 Mar;25(3):492-5. https://www.ncbi.nlm.nih.gov/pubmed/20191055. Siegers CP, von Hertzberg-Lottin E, Otte M, Schneider B. Anthranoid laxative abuse--a risk for colorectal cancer? Gut. 1993 Aug;34(8):1099-101. https://www.ncbi.nlm.nih.gov/pubmed/8174962. Pigatto, P.D. ; Guzzi, G. Aloe linked to thyroid dysfunction. Arch. Med. Res 2005, 36(5), 608. http://zjrms.ir/files/site1/user_files_10e1c1/vahidasgary-A-10-1431-1-c525cc7.pdf. Yongchaiyudha S, Rungpitarangsi V, Bunyapraphatsara N, and et al. Antidiabetic activity of Aloe vera L. juice. I Clinical trial in new cases of diabetes mellitus. Phytomedicine 1996;3(3):241-243. https://www.ncbi.nlm.nih.gov/pubmed/23195077. Bunyapraphatsara N, Yongchaiyudha S, Rungpitarangsi V, and et al. Antidiabetic activity of Aloe vera L. juice. II. Clinical trial in diabetes mellitus patients in combination with glibenclamide. Phytomed 1996;3(3):245-248. https://www.ncbi.nlm.nih.gov/pubmed/23195078. Vogler, B. K. and Ernst, E. Aloe vera: a systematic review of its clinical effectiveness. Br.JGen.Pract. 1999;49(447):823-828. https://www.ncbi.nlm.nih.gov/pubmed/10885091. Yun, J. M., Singh, S., Jialal, R., Rockwood, J., Jialal, I., and Devaraj, S. A randomized placebo-controlled crossover trial of Aloe vera on bioavailability of vitamins C and B(12), blood glucose, and lipid profile in healthy human subjects. J.Diet.Suppl 2010;7(2):145-153. https://www.ncbi.nlm.nih.gov/pubmed/22435613. Vinson, J. A., Al Kharrat, H., and Andreoli, L. Effect of Aloe vera preparations on the human bioavailability of vitamins C and E. Phytomedicine 2005;12(10):760-765. https://www.ncbi.nlm.nih.gov/pubmed/16323295. Hussain A, Sharma C, Khan S, Shah K, Haque S. A�loe vera inhibits proliferation of human breast and cervical cancer cells and acts synergistically with cisplatin. Asian Pac J Cancer Prev. 2015;16(7):2939-46. https://www.ncbi.nlm.nih.gov/pubmed/25854386. Hoopfer D, et al. Three-Arm Randomized Phase III Trial: Quality Aloe and Placebo Cream Versus Powder as Skin Treatment During Breast Cancer Radiation Therapy. Clin Breast Cancer. 2015 Jun;15(3):181-90.e1-4. Epub 2014 Dec 24. https://www.ncbi.nlm.nih.gov/pubmed/25619686. McDaniel, H., C.H.R.M. COmbs, Carpenter R, M. Kemp, B. McAnalley, 1990. An increase in circulating monocyte/macrophages (M/M) is induced by oral acemannan in HIV-1 patients. Am J Clin Pathol, 94: 516-7. https://pdfs.semanticscholar.org/B2ce/ee50bf076a9063da99577B6f15f82f904348.pdf. McDaniel, H., R. Carpenter, M. Kemp, J. Kahlon, B. McAnalley, 1990. Extended survival and prognostic criteria for Acemannan (ACE-M) treated HIV Patients. Antiviral Res Suppl, 1: 117. https://pdfs.semanticscholar.org/B2ce/ee50bf076a9063da99577B6f15f82f904348.pdf. M. C. Kemp, J. B. Kahlon, A. D. Chinnah, R. H. Carpenter, B. H. McAnalley, H. R. McDaniel and W. M. Shannon, “In Vitro Evaluation of the Antiviral Effects of Acemannan on the Replication and Pathogenesis of HIV-1 and Other Enveloped Viruses: Modification of the Processing of Glycoprotein Glycoprotein Precursors,” Antiviral Res, Vol. 13, Suppl. 1, 1990, p. 83. https://www.sciencedirect.com/science/article/pii/0166354290901562?via%3Dihub. Kahlon, J.B., M.C. Kemp, N. Yawei, R.H. Carpenter, W.M. Shannon, B.H. McAnalley, 1991. In vitro evaluation of the synergistic antiviral effects of acemannan in combination with azidothymidine and acyclovir. Mol Biother, 3: 214-23. https://www.ncbi.nlm.nih.gov/pubmed/1662957. Montaner JS, Gill J, Singer J, Raboud J, Arseneau R, McLean BD, Schechter MT, Ruedy J. Double-blind placebo-controlled pilot trial of acemannan in advanced human immunodeficiency virus disease. J Acquir Immune Defic Syndr Hum Retrovirol. 1996 Jun 1;12(2):153-7. https://www.ncbi.nlm.nih.gov/pubmed/8680886. Djuv A, Nilsen OG. Aloe Vera Juice: IC(50) and Dual Mechanistic Inhibition of CYP3A4 and CYP2D6. Phytother Res. 2011 Aug 15. doi: 10.1002/ptr.3564. https://www.ncbi.nlm.nih.gov/pubmed/21842479. Westendorf J. Anthranoid derivatives-general discussion. In: De Smet P, Keller K, Hansel R, et al, eds. Adverse Effects of Herbal Drugs. Vol 2. Berlin, Germany: Springer; 1993:105–118. De Smet PAGM et al. (eds.). Adverse Effects of Herb Drugs 2. Springer-Verlag, Berlin, 1993. Lee A, Chui PT, Aun CST, et al. Possible interaction between sevoflurane and Aloe vera. Ann. Pharmacother., 38:1651-1654, 2004. https://www.ncbi.nlm.nih.gov/pubmed/15292490. Vazquez B, Avila G, Segura D, et al. 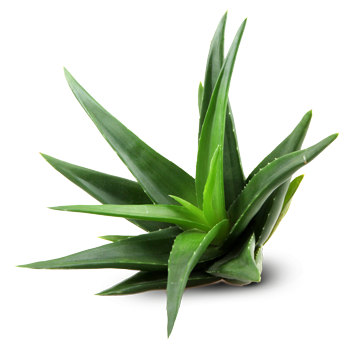 Antiinflammatory activity of extracts from Aloe vera gel. J. Ethnopharm., 55:69-75, 1996. https://www.ncbi.nlm.nih.gov/pubmed/9121170.